The Liberal Democrat candidate for May’s mayoral election wants new rail stations in the north and south of the city - the latter being in Hampton. 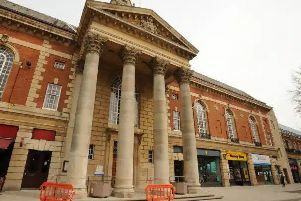 Rod Cantrill also said his priorities for Peterborough include greener buses to reduce air pollution in the city and better pedestrian and cycling provision to fulfil Peterborough’s ambition to be the UK’s Environment Capital. Other policies include delivering on the promise of a Peterborough University and encouraging the city council to insist on a high level of affordable housing on any large developments. He added: “I am eager to exploit with residents and businesses the many opportunities for growth that Peterborough has. “In parallel, I am keen to tackle the key issues facing the city over the next few years, be they employment, housing or transport. “As both candidate and the mayor, I will make listening to residents my absolute priority.